The bigger your family, the more laundry you have to do. 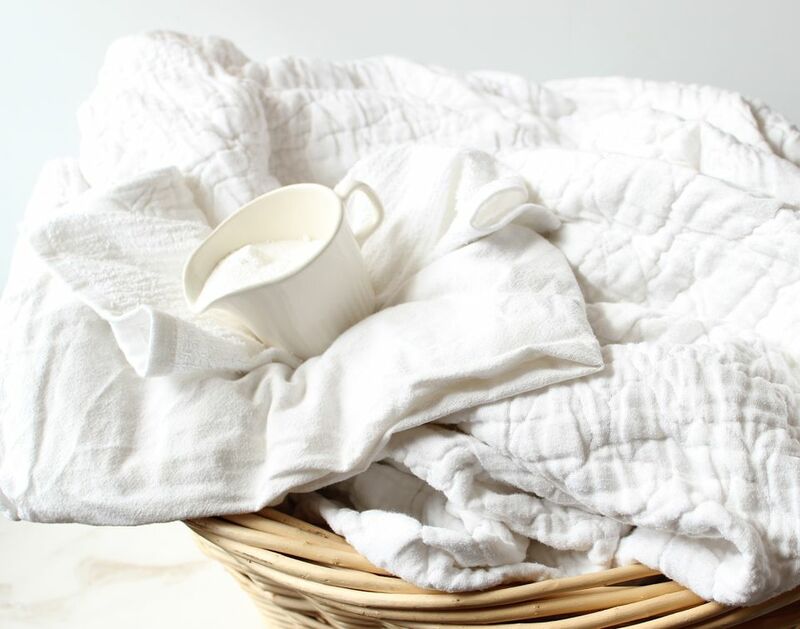 You might not think much about it, but the cost of laundry detergent for all those loads of whites, darks, delicates, sheets, and towels can really add up. Making your own laundry detergent could add up to big savings that you can use for something that's lots more fun, like going to the movies or eating out a few more times every month. Making your own detergent is super easy and only takes about 10 or 15 minutes. Mix together 2 parts Borax, 2 parts washing soda, and 1 part grated Fels-Naptha soap to create your own laundry detergent. You can make as much or as little as you'd like; just adjust the proportions as appropriate. Use up to three level tablespoons per wash load. Use one tablespoon if you have a high-efficiency (HE) machine. Store the rest in a lidded container, out of the reach of children and pets. Be sure to label your detergent container, so others will know what's inside. Include a list of the ingredients as an added safety measure. Borax sells under the name 20 Mule Team and can be found in the laundry aisle of your grocery or discount store. You should be able to find washing soda and Fels-Naptha soap there, too. If you have trouble locating Fels-Naptha soap in the laundry aisle, check to see if it's with the bar soap. If the grocery or discount store that you shop at doesn't stock these ingredients, try an international grocery store. Zote, Ivory, or castile soap can be used in place of Fels-Naptha.